Jack Welch was inspired to write this memoir after receiving hundreds of letters from people. All their working lives they had felt the pressure to conform to be successful, but in him they found a successful non-conformist, a person who had shaped the company he worked for instead of letting it shape him. Hired by General Electric in 1960 to join a team developing a new type of plastic, from the beginning Welch was determined to fight bureaucracy and be himself, even if it meant getting sacked. His first year was so awful, he says, he almost left, and notes that his career had followed the celebrated 1960s movie The Graduate, in which a young Dustin Hoffman is told he should 'get into plastics'. Despite blowing up a factory and building another one only to discover the product had major flaws and was not ready to go to market, Welch rose up through the ranks. Managing to more than double GE's embryonic plastics business in three years, eight years after joining GE he general manager of the plastics division. In 1970s American corporate life, command-and-control was the way to manage and no-one talked about 'passion' or 'fun'. Welch took a different approach: "I tried to create the informality of a corner neighborhood grocery store in the soul of a big company." His philosophy of informality included riotous celebrations whenever even small milestones were reached. "In those days, I was throwing hand grenades, trying to blow up traditions and rituals that I felt held us back". But it was his results that really got him noticed. Chairman Reg Jones, who had the tag 'most admired businessman in America', installed him in a new job at GE headquarters as chief of consumer goods, which accounted for 20% of GE's revenues. Welch now found himself in the race for the succession of GE's top job. His self-confidence had always made him believe he was CEO material; now it was getting serious. After a highly charged lead-up period and against a number of more obvious candidates, in April 1981 Welch was elected CEO. The new man had had little experience with the media, Washington or Wall Street, and the Wall Street Journal described his succession to head one of America's industrial juggernauts as the replacement of "a legend with a livewire". Hardly a vote of great confidence. Welch admits he did not have detailed plans for where he wanted the company to go, only that he knew how he wanted it to 'feel'. Creating a new culture among 400,000 employees and 25,000 managers with layers of bureaucracy was always going to be a hard task. It would end up taking two decades. For Welch, it was all about people. By hiring the best, you got the best ideas, and if those ideas could freely circulate in a 'boundaryless' environment (a term he invented), it would be one of the best places in the world to work. In his first years he spent a lot of time in staff reviews, trying to cut out the dead wood and identify the stars. Intense locked-door sessions involving brutal personal scrutiny resulted in many staff leaving. Welch pioneered the system of managers having to annually remove 10% of their staff. "Rigorous differentiation" he says, "delivers real stars - and stars build great businesses." By the mid-1980s, Welch had reduced the GE workforce by around 25%, earning him the nickname 'Neutron Jack' (the people get blown away but the buildings are left standing). If GE was going to move ahead, he was telling everyone, it had to spend more money on fewer people. Welch did exactly this, creating a firm six times larger than the one he inherited, but with less managers overall and only 25 more vice-presidents. Welch's signature business strategy for the multitude of GE's businesses was that each of them would have to become either No. 1 or No. 2 in their field, or they would be sold off. The strategy struck fear into some of GE's underperformers, but was easily understood and created a focus. If they were not No. 1 or No. 2 why, exactly, were they in the business? Despite some failures (a disastrous acquisition of investment firm Kidder, Peabody and the collapse of a takeover of Honeywell International, thanks to EU regulators), GE grew six times larger under Welch, a player in everything from CT scanners, to finance, to the NBC TV network. Other initiatives developed under Welch include: 'Six Sigma' quality control (requiring only 3.4 defects/million in production operations; the norm was 35,000); globalization - not simply acquiring more businesses around the world but developing local talent; and e-business - Welch couldn't even type or use the Internet in 1997, but a couple of years later had GE aggressively facing up to any possible challenges from start-ups. Born in 1935, John F Welch Jr. grew up in the working-class part of Salem, Massachusetts. His father was an Irish-American railroad conductor, and neither parent had graduated from high school. He credits his strong-willed mother for much of his success. Over card games she taught him how to compete ferociously, and told him that his stutter was simply a case of his brain being too fast for his mouth. His 'hugs and kicks' way of dealing with GE staff was taken directly from Grace Welch, as was his trademark self-confidence. Yet in the book he makes a distinction: "Arrogance is a killer, and wearing ambition on one's sleeve can have the same effect. Self-confident people aren't afraid to have their views challenged. They relish the intellectual combat that enriches ideas." This attitude of brash openness would become part of GE's culture. Towards the end of the book he talks about 'sick' companies and the drain they are on communities. Only a healthy firm generating profits can boost a town or a city, with the ability to spend money on environmental measures and generally be a good corporate citizen. Welch's mother cried the day Franklin Delano Roosevelt died, such was her faith in government. Reflecting his own era's mistrust of government, Welch imparts the belief that if anything is going to save the world, it is successful companies. There is a lot of talk now about being an entrepreneur and an innovator, with the suggestion that if you don't start your own company you are somehow missing out. 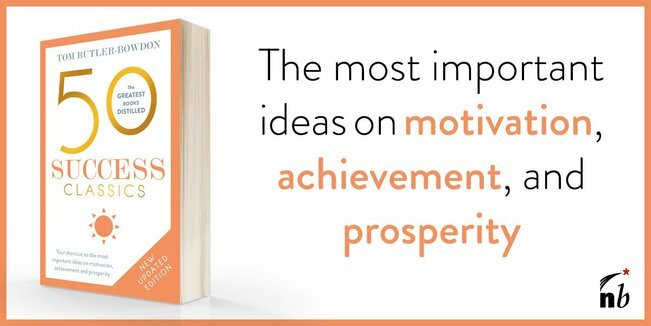 The fact is, most people still work for companies, and this book's message is that you can still have a very satisfying working life if you can find a firm that is as interested in generating new ideas as it is in making money. Jack is a classic not simply because of Welch's success, but because it is a fine record of American big business in the last decades of the 20th century. It gives the reader a good feel for what it must be like to be the CEO of one of the world's biggest firms (playing golf with famous people seems to the one of the perks) and the author's descriptions of acquisitions and the fight for the leadership are gripping. Even at over 400 pages you get the impression that much has been left out. With the help of Business Week writer John A Byrne, Jack was written during Welch's last year in office, and conveys the buzz of those final days. Jeff Immelt was anointed his successor and continues in the role today. "There's no straight line to anyone's vision or dream. I'm living proof of that. This is the story of a lucky man, an unscripted, uncorporate type who managed to stumble and still move forward, to survive and even thrive in one of the world's most celebrated corporations. Yet it's also a small-town American success story. I've never stopped being aware of my roots even as my eyes opened to a world I never knew existed."